Hire a professional inspector who is certified in Wood Destroying Organism Inspections to perform an annual Termite/WDO Inspection. Costs of this professional inspection vary, but it’s certainly far less expensive than repairing the structural damage caused by the pests. Pest control professionals will inspect the home to determine if you have a termite infestation. If a problem is found, the inspector can recommend a treatment plan that rids them from the area before further destruction occurs. Obviously, tearing down your home to remove food sources isn’t optional, but there are a few techniques that reduce food sources and keep termites away. Firstly, remove any cellulose materials from the home’s exterior as well as the crawl spaces. Remove stumps in the yard and miscellaneous timber lying around your property. Second, replace mulch in the garden with a cellulose-free material. Finally, ensure that wood siding is installed at least six inches above the ground to prevent termite infestation. Termites are attracted to dead, decaying wood, but the dampwood termite has a keen interest in wood that is moist or damp. Removing all moisture sources from the home’s exterior will reduce the risk of dampwood termites being attracted to your home. Address moisture issues in the basement or in crawl spaces before they develop into major concerns, and always repair A/C and plumbing leaks as quickly as possible to prevent pools of water. One of the most important steps that you can take to prevent termites is to keep a close eye on the home. It is important that you hire a professional for an annual, thorough inspection, but this doesn’t mean that you should ignore the home and its condition the rest of the year. If you regularly look out for any signs of termites, you can prevent a termite infestation and structural damage to the home. Termites may be small and seem harmless, but once they start destroying your home piece by piece, you’ll think differently about this pest. Use the tips above to ensure that termite damage isn’t an issue you’ll encounter any time in the near future. 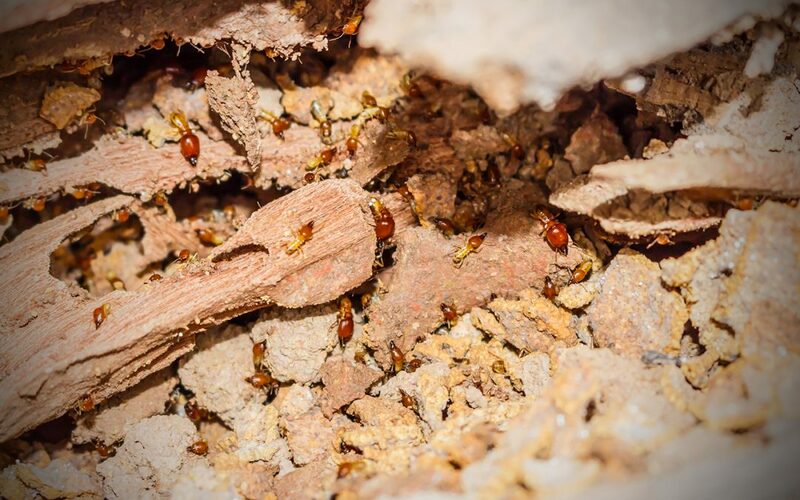 Preventing a termite infestation can be much easier than you think! HomeVantage Home Inspections provides Termite/WDO Inspections and other home inspection services. Contact us if you would like to schedule an appointment for a property in Northern New Jersey.